Meet Mariah Nicole at the Michelle Rahn trunk show hosted by The Bridal Bar Los Angeles at the end of January. 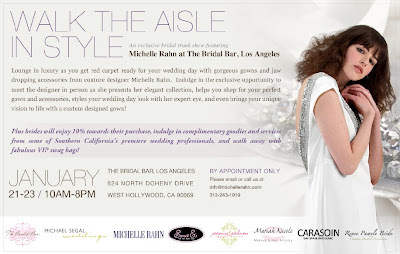 Mariah will be offering complimentary beauty consultations for brides January 21-23rd. By Appointment only! We can't wait for this exciting event and to pamper our brides!